Sonata ring has lyrical lines & the feeling the romance. 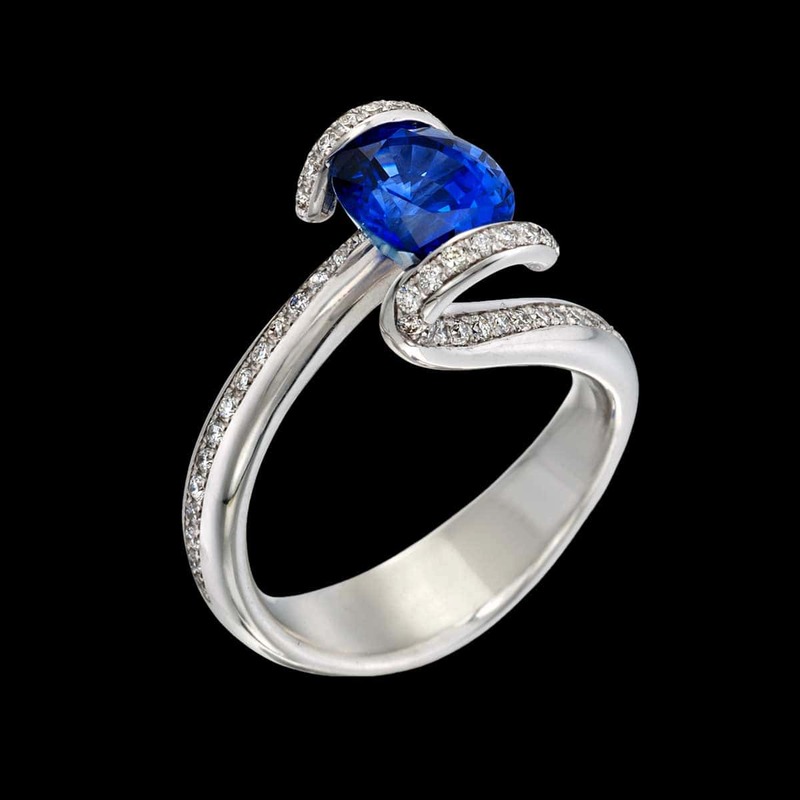 This unique engagement ring features a tension set blue sapphire center stone accented by .33 carats total weight of diamonds pavé set in white gold. Looking for the perfect center stone? We offer GIA expertise and competitive pricing for diamonds and colored gemstones. If you already have a center stone we can set it for you. To purchase, call (949) 715-0953 or use our contact form below.